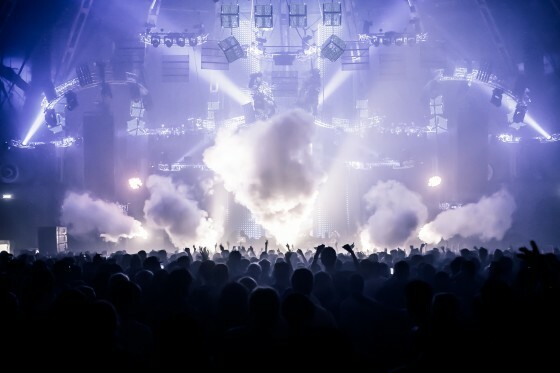 TThis year’s Amsterdam Dance Event takes place from the 15-19 of October. The program features artists such as Afrojack, David Guetta, Armin van Buuren and Hardwell, as well as numerous industry professionals and brands. Besides the festival itself, ADE will also feature conferences and what they call “Playground”: 25 hotspots around the city, which offer film screenings, exhibitions, musical performances and other happenings. During the festival’s five days, there will be approximately 300 events and over 1,500 DJs in eighty venues around Amsterdam. Amsterdam Dance Event started in 1995, and the festival attracts about 300,000 visitors per year. According to ADE General Manager/Director Richard Zijlma, it has sold out every year since 2008 (The Hollywood Reporter writes). ADE is also expanding outside of Amsterdam; since last year, an annual sister event is being held in Aruba. Even if you can’t attend to the event in person, we’ve got you covered: The filming crew of Stand Above The Noise will be there to bring you insightful and interesting video interviews. For more information about the event and the program, have a look at the official site. Oscar Hjelmstedt is a Swedish journalist, student and bass player, with a passion for music and Tarantino-flicks.